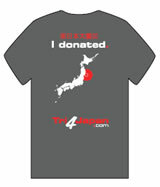 Tri4Japan are grateful to the following organisations who have offered their support to help us help the people of Kamaishi at this time. We have add a single donation of $25,000 from Optima Capital - who are a merchant banking and private equity firm based in Singapore. Although they have lost everything, they can still smile! Could you? Rieko Trees in 2004 exiting the swim...what if the tsunami struck while we were racing, I cannot dare to think about it? 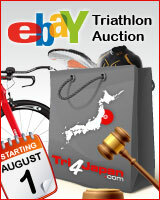 Copyright © 2011 www.tri4japan.com. All Rights Reserved.